An Adweek report shows that the use of emojis in mobile & email marketing messages has increased by over 775% YOY. This was supported by a recent Return Path research, showing that, although higher read rate is expected from emails containing emojis in the subject line, this doesn’t happen every time. So let’s talk about when emojis actually increase email open rates. 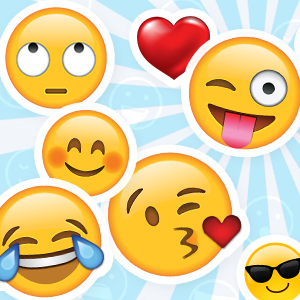 Should you be using emojis at all? Before using emojis in subject lines, make sure it is in line with your brand language and fits your target audience. If you are in the business of, let’s say, dental care products and you are selling to middle-aged population, it is very likely they will not want to see emojis in your subject lines, and having one could directly hurt your brand image. On the other hand, let’s say you are a business that sells accessories, and your target audience is millennials, you will have plenty of opportunities to use emojis 🙂 🤗 🤔, which will likely increase your open rates. Unless you are certain that emojis will or will not work with your email subscribers, the right way to go is A/B testing, so you can see what works. How to perform A/B testing using emojis? Emojis are not universally accepted, so it is possible that sending an email with an emoji will trigger a negative reaction within a group of subscribers. It is recommended to start with a split test to see your subscribers’ reaction. A good way to start is to have your population segmented and then perform A/B tests. Let’s say you have 4,000 subscribers. You segment your list by dividing them into 2 equal size groups and performing A/B test on emojis on only one segment. Let’s say the subject line is ‘Welcome to the club’, and the same subject line with an emoji is ‘Welcome to the club ⚡’. With this logic, 25% of subscribers received the emoji content. After analyzing the statistics, if the results are in favor of using the emoji, you will gradually increase the portion of the people receiving emoji content. What’s the one thing you must do before sending an email with emojis? Test its performance across all email providers and mobile devices. We can’t stress this enough. You surely don’t want to receive ▢ instead of 😘, neither does your client. Read this Litmus article on how emojis behave within different email clients and devices and test your emojis in Emojipedia to see how every symbol is rendered across different inboxes. When using emojis in a subject line, it is very important that your text does not depend on the symbol, and makes sense without it as well. Our advice is to prioritize rendering on devices and email clients that have the most shares (Gmail and iOS mail for example). If you consider that your user base has a significant number of Outlook 2003 subscribers (that would be a business partner for example), it is a good idea to avoid the use of emojis. The visible part of the subject line is limited between 27 and 73 characters, depending on the devices and clients your emails are read on. As you want to make sure to fit all the relevant text, emojis can replace words and shorten the subject line to fit in inboxes just right. According to Litmus’ “The 2017 Email Client Market Share”, desktop opens represent 17% of all email opens, webmail 36%, and mobile 47%. Check if this is accurate for your brand too and adjust your subject line length accordingly. In doing so, remember to add emoji at the beginning of the subject line and ensure its visibility. As there is a world of emojis to choose from, it is fun to get creative with random ones, 🤩 🤔👽 🤖🏃‍♂️ 👫👑 👝🐊 🐅. However, statistics show that some of them are more popular than others, so it is good to go with the safe bet. The article How to create emails that sell – even unopened explains how being noticed in the inbox affects a brand. Using emoji in your subject line can help getting noticed and can increase your brand exposure, even if customers do not read/open the email. As you have unlimited creativity inside the email, the use of emoji in the email body is not a huge revolution in comparison to their placement in subject lines. But, for the sake of message consistency, why not extend the use of emoji from just the subject line to the email content too, capturing readers’ attention. However, you want to make sure not to drain them out. If a customer gets used to seeing emojis in emails from you, it is not going to have the same significance. It is a good idea to save them for special events, promotions or announcements that you are running. If your brand practices the use of emojis in their subject lines, don’t miss out on big events: You will certainly want to insert a heart emoji into the subject line for Valentine’s Day. Your subscribers list can do amazing things for your business! Book a meeting with our email marketing experts to find out how! Milica Paligoric graduated from Iona College, in New Rochelle, NY. She has a bachelor’s and master’s degree in finance, and over 3 years of experience in client-managing roles. She joined Essence of Email in 2018, after being a lead of a back office team for an e-commerce platform.